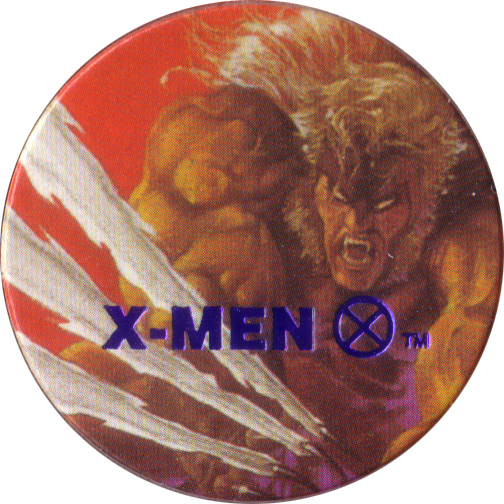 Info:These caps came cut but unpunched 16 in a single sheet of card. 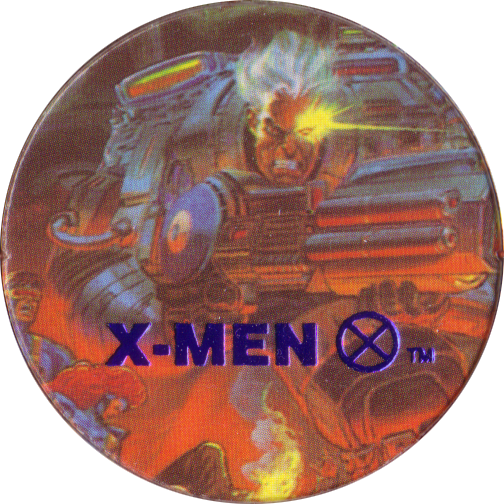 The card isn't actually red, but is printed with a red background between the pogs. 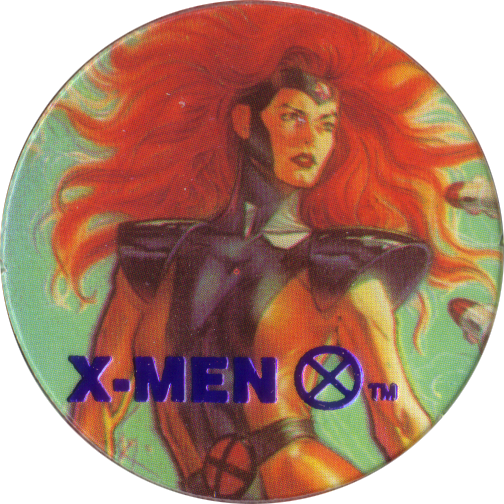 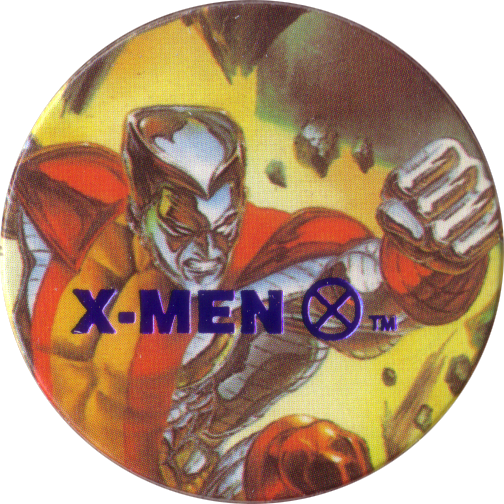 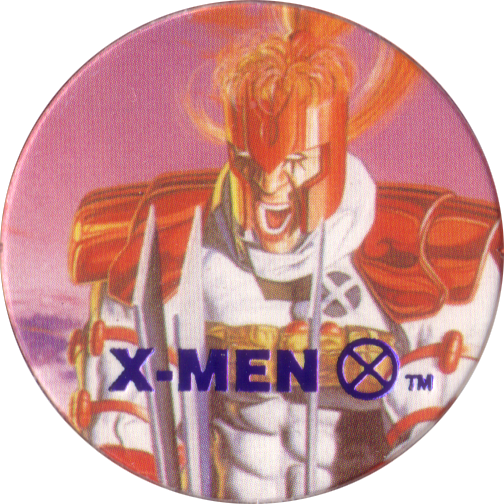 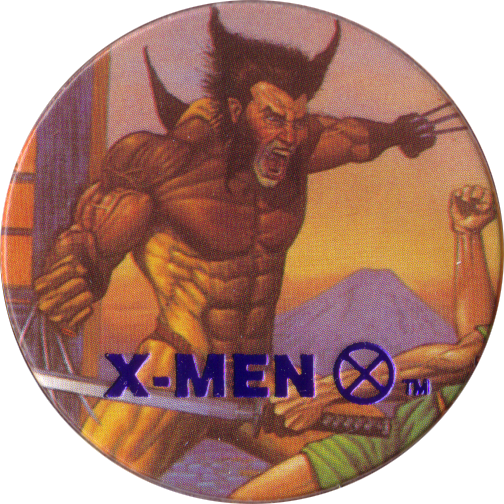 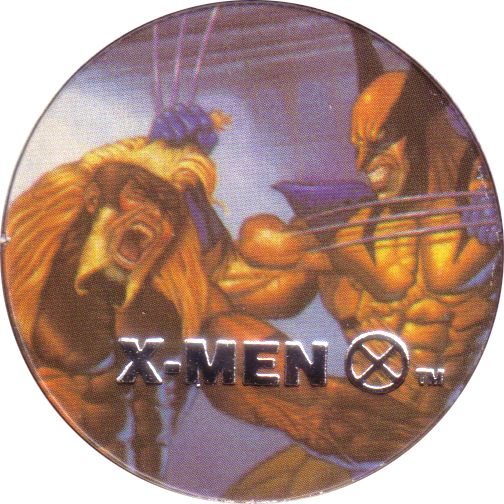 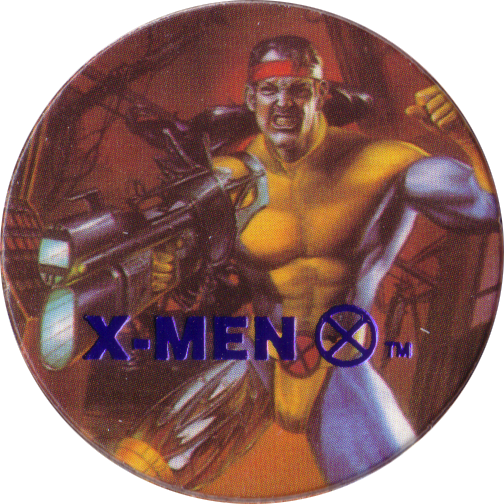 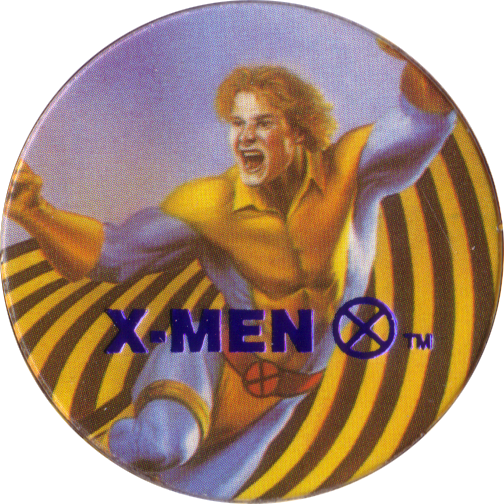 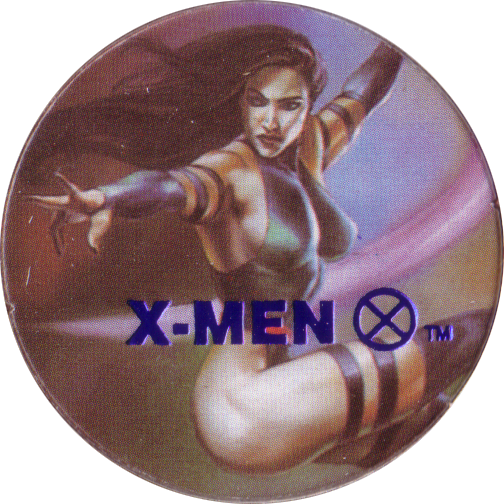 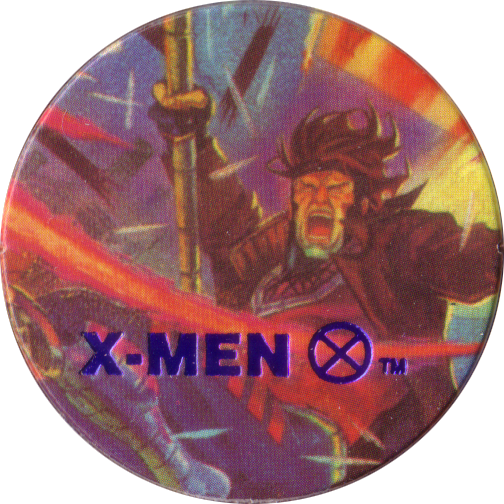 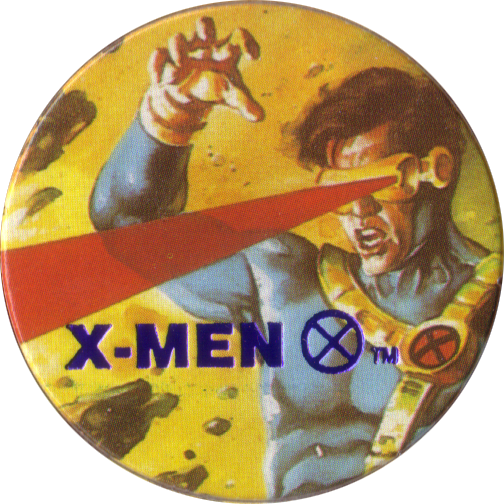 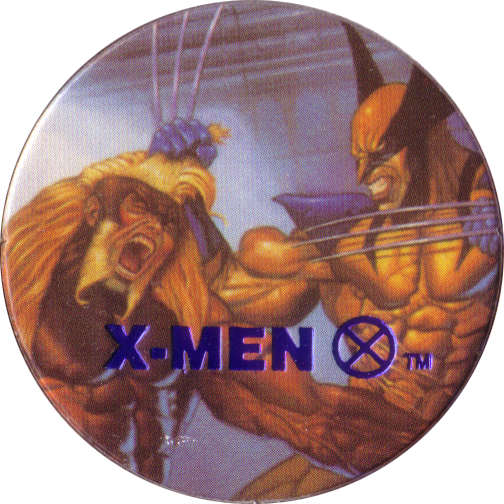 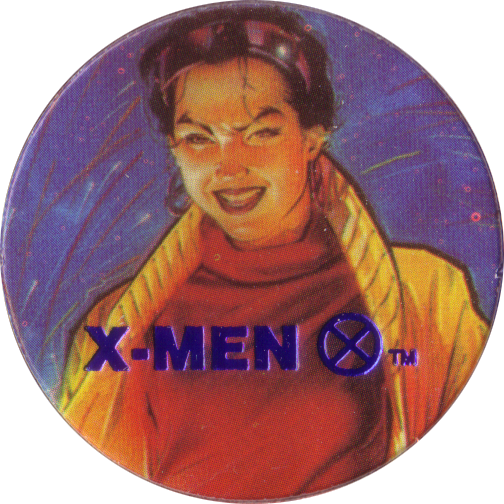 Each cap features a character from the Marvel X-Men comics. 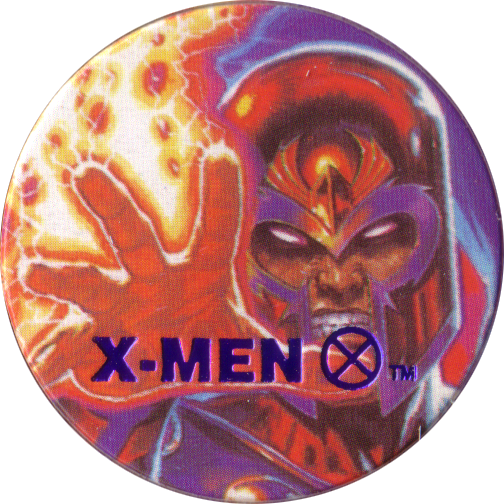 They have 'X-Men ⨂™' stamped in foil on the front of each cap. 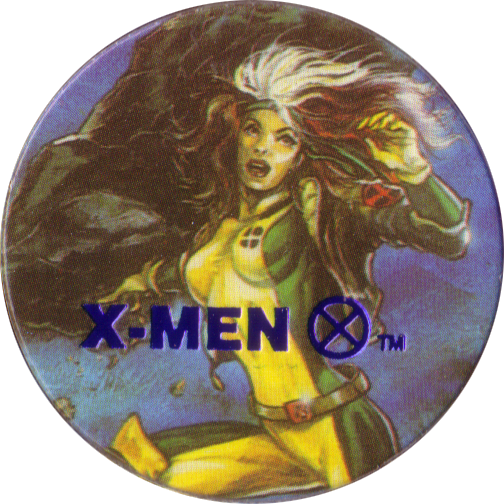 There are at least 3 versions of this set, one with this text in blue foil, one with green foil, and another with silver foil. 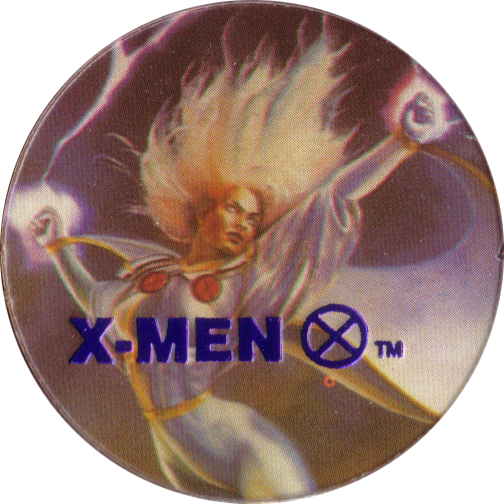 On the backs they are blank.